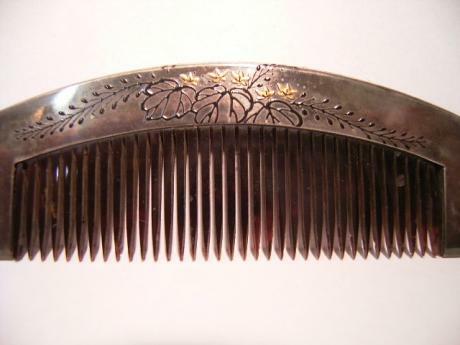 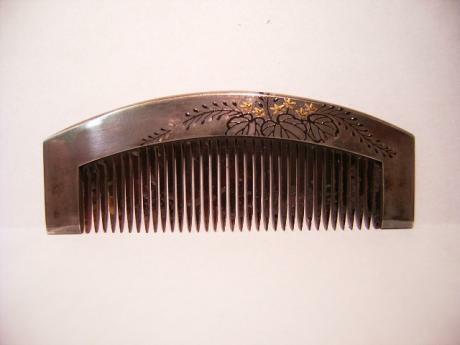 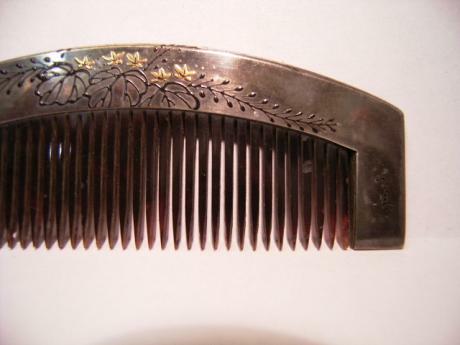 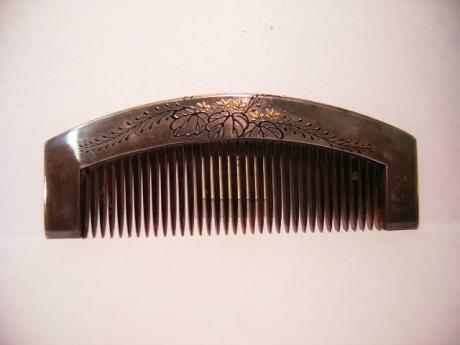 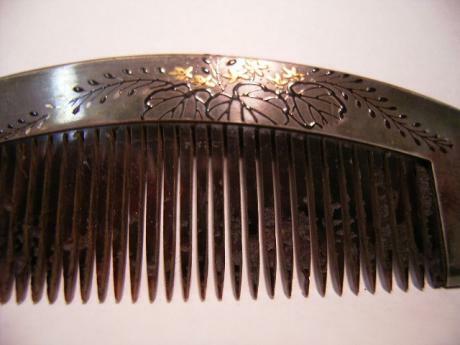 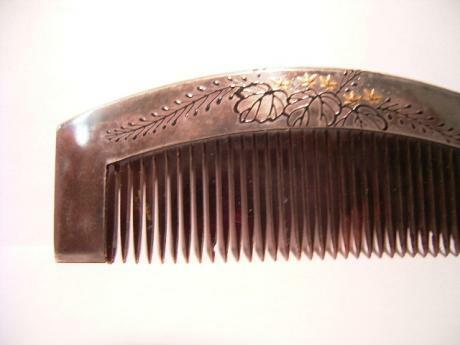 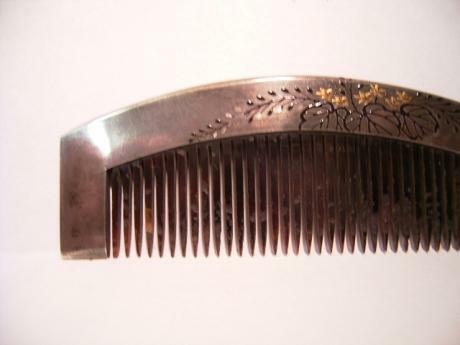 Description: Japanese Meiji period comb with silver frame. 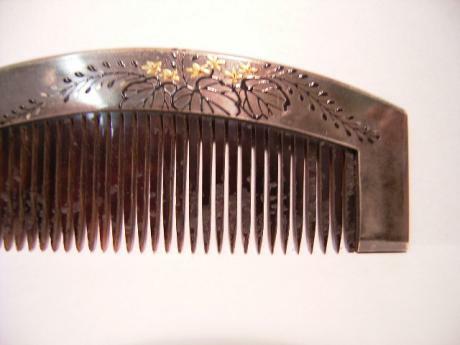 The comb has been framed in a silver frame with gold and black lacquered design of paulownia. 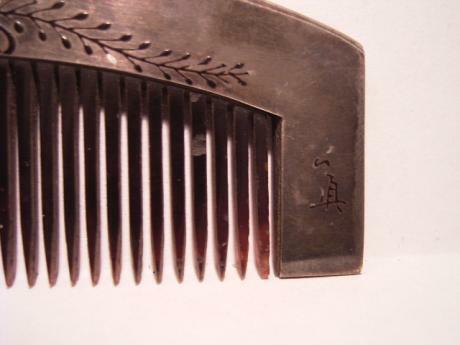 The comb is signed, however signature is illegible. 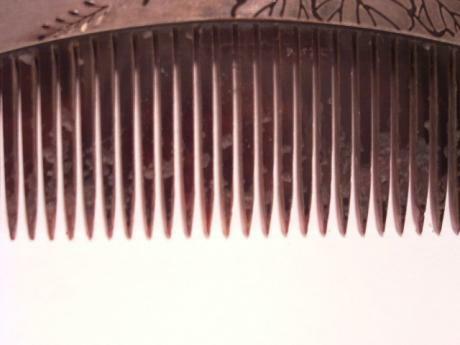 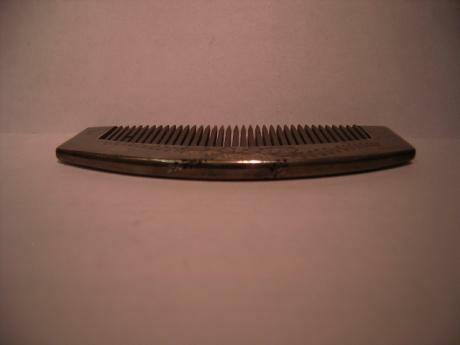 The comb measures 3 1/4" long and 1 1/4" tall. 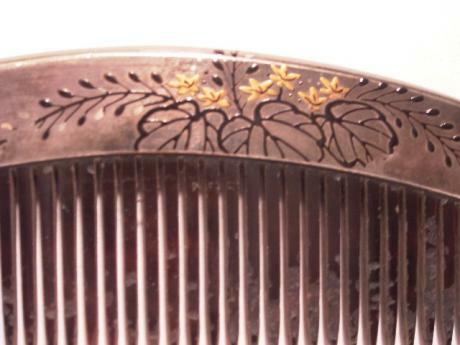 There is some slight rubbing to the lacquer on the silver and some insect damage to the teeth.